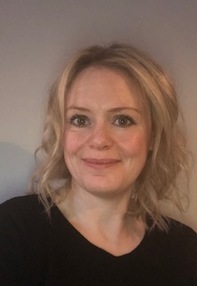 I am based in the Gosforth / Kenton area of Newcastle upon Tyne and deliver a variety of therapies in order to meet your needs most appropriately. If you are suffering from trauma, depression, anxiety, stress, relationship problems or other emotional difficulties then I can help. As I am trained in a variety of therapies, I can help you to understand your unique situation and overcome whatever difficulties you are having. I implement effective psychotherapy methods to instil self-understanding among clients and encourage people to adopt new solutions and attitudes towards life situations. My goal is to help you understand yourself more deeply through the psychotherapy experience, and get you back on track. I also offer Couples Counselling. Within couples counselling, I am not here to blame either party but to explore the reasons why the problems have come about and how to help you overcome these as a couple or decide it’s time to part ways. It is through the exploration within the safe space that counselling provides, that you will decide what the future holds for you both. I offer appointments on Thursday and Friday daytimes. If you require an evening appointment, then please enquire about this and I will check whether this is something I can accommodate.